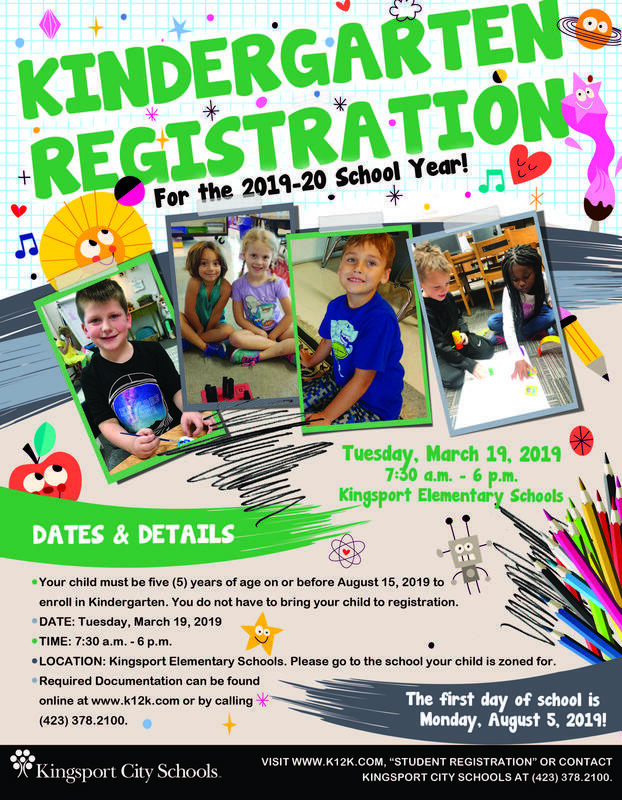 Published on March 13, 2019 at 10:57 a.m.
KINGSPORT, Tenn. – Kingsport City Schools will hold Kindergarten Registration for the 2019-2020 school year on Tuesday, March 19, 2019 from 7:30 a.m. – 6 p.m. at all Kingsport City Elementary Schools throughout Kingsport. Only Kingsport residents with children five (5) years of age on or before August 15, 2019 are eligible for Kindergarten. Parents/guardians must register at the school zoned for their residence; only parents or legal guardians may complete student registration documentation. Proof of Residency Verification (mortgage statement, formal rental lease, property tax receipt or most recent water/electric bill). Children will not be allowed to attend school until all of the documentation listed above is provided. To learn the school for which your child is zoned, please refer to the Kingsport Street Directory listed under the “Registration” icon found on the homepage at k12k.com. For more information on Kindergarten Registration or Zoning, please contact Kingsport City Schools Administrative Support Center at (423) 378.2100. 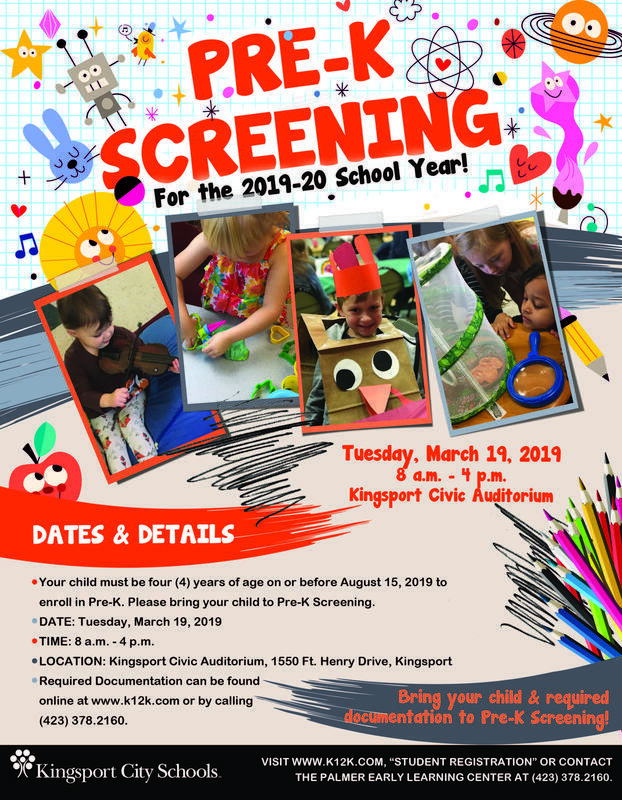 Kingsport City Schools will hold Pre-Kindergarten Screenings (not registration) for the 2019-2020 school year on Tuesday, March 19, 2019 between 8 a.m. - 4 p.m., located at the Kingsport Civic Auditorium, 1550 Ft. Henry Drive, Kingsport. Only Kingsport residents with children four (4) years of age on or before August 15, 2019 are eligible for Pre-Kindergarten screenings. Proof of Family Income for Pre-K only (income tax form [last year's 1040A,1040 or W-2], letters from the Dept. of Human Services verifying income, Food Stamp status number, Temporary Assistance to Needy Families/Families First/Transitional Families First case number, Pay Stubs, Child Support status verified, Unemployment Compensation, Supplemental Security Income verification or Employer Letter verifying pay). Children will not be screened until all of the documentation listed above is provided. 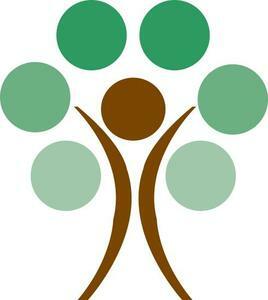 Pre-K classes are offered Monday – Friday between 8:30 a.m. – 2 p.m. Classes follow the Kingsport City Schools calendar, but please note that transportation is not provided. Current Pre-K locations (subject to change) include Palmer Early Learning Center, Jackson Elementary, Johnson Elementary, Kennedy Elementary, Lincoln Elementary, and Roosevelt Elementary. For more information on Pre-K Screenings, please contact the Palmer Early Learning Center at (423) 378.2160 or click the “Registration” icon found on the homepage at k12k.com.